Movement heals. Rya has worked in the field of movement for over 20 years, as a Pilates instructor, yoga facilitator, teacher and swim coach. She holds a bachelors degree in Human Kinetics, program Exercise Science, from U.B.C., a Bachelors of Education from S.F.U. and studies in nutrition. She completed her advanced yoga teacher training in Rishikesh India, studying Akhanda Yoga, including prenatal and restorative training. She has worked with many different populations including children, seniors, prenatal and postpartum mothers and English as a second language students. Her understanding of the body and love for learning shines through in her practice. Rya is currently studying meditation through Vipassana and the Tan-Tri-Ahura: The Path of Bio-Spiritual Artistry™. Rya is also a mother. After giving birth, new experiences in her physical body lead her to Pilates. The classical Pilates system assisted Rya in regaining her physical strength and agility, so she can move with ease and grace with her child, in her yoga practice and throughout the rest of her daily activities. Rya completed her apprenticeship at Whistler Pilates. 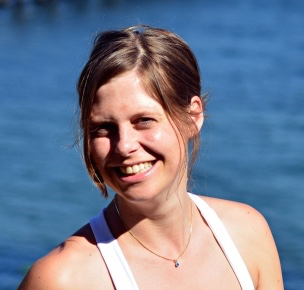 Presently, she is happy to be teaching as a junior teacher at Whistler Pilates and Angela Simpson Physiotherapy. Rya is certified in the Core Confidence program; exercises designed to help retrain your centre postpartum.